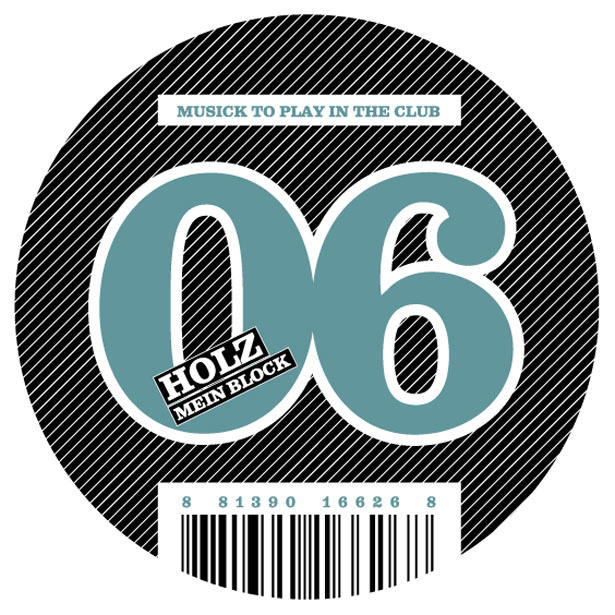 Maybe we were too blockheaded of not having properly introduced our Musick-To-Play-In-The-Club-star „Holz“ (German word for ‚wood’). But now that his smartly titled EP „Mein Block“ (my block) is on its way it is about time for us to apply the jemmy in order to see, who is behind that moniker, that stands for vibrating planks of techno. Born in 1985 René Finken is a twenty year old student and other than his music suggests he is not from Berlin but from the city of Aachen near the dutch border, where he studies German and English language and literature as well as philosophy. At the age of 6 he started playing keyboards and when he was 16, he fell in love with electronic music triggered by some freeware tracker software named Buzz, that allowed him admittance to the netaudio scene. In 2004 he debuted with the title „Brett“ (english: plank) on Musick 02, a gnarzy cupboard from the picture book of his mentor in chainsaw operations T.Raumschmiere, one could guess, and he left a „Splitter“ (english: splint) on Musick 03, which was difficult to remove from ones ears. René also publishes as „Renniac“ on a netlabel called Stadtgruen and makes music with a friend as „Tha DiskonerdZ“. Concerning the record. „Axt“ (english: axe) is the most self-rotating piece of techno since „Querstromzerspaner“ (english: shredder-grinder) by T.Raumschmiere, who fortunately for Holz now is into rock and ambient. “Mein Block“ goes out to all the blockheads who cannot get enough of joiners joy behind their bark. „Glut“ (english: blaze) concludes the record with suspicious signs of an after-hour party including subliminal Laura Palmer reminiscence areas.